Tea has been cultivated for centuries, beginning in India and China. Today, tea is the most widely consumed beverage in the world, second only to water. There are three main varieties of tea - green, black, and oolong. The difference is in how the teas are processed. One of the most preferred tea today is the Organic Green Tea. 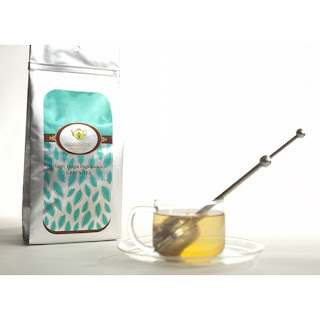 Organic Green Tea is grown without using chemicals/pesticides in elevated farms and controlled environment. The result is fresh tea leaves with rich taste and aroma and it also has higher amount of antioxidants which controls cholesterol level and helps in maintaining body shape. Green tea can even help prevent tooth decay! Just as its bacteria-destroying abilities can help prevent food poisoning, it can also kill the bacteria that causes dental plaque. Meanwhile, skin preparations containing green tea - from deodorants to creams - are starting to appear on the market.